The sound of a working blacksmith is more and more common around our farm. The rhythmic clang of the hammer striking the anvil is something you can set your watch by. Our son has begun taking in some custom orders under the name Big Horn Forge, and he is really cranking out some nice work. 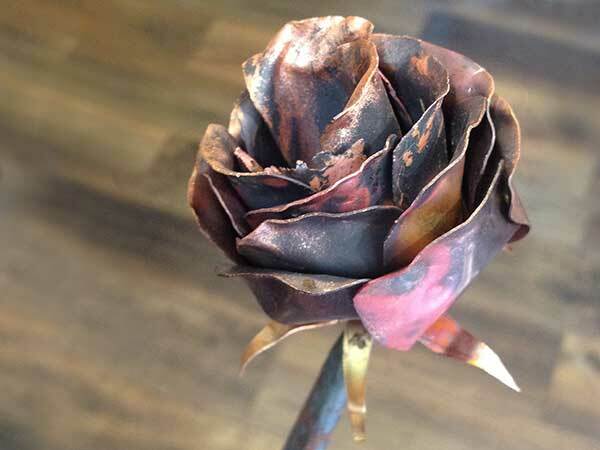 We’ve commissioned Ben to make more of his copper roses for sale in our gift shop. 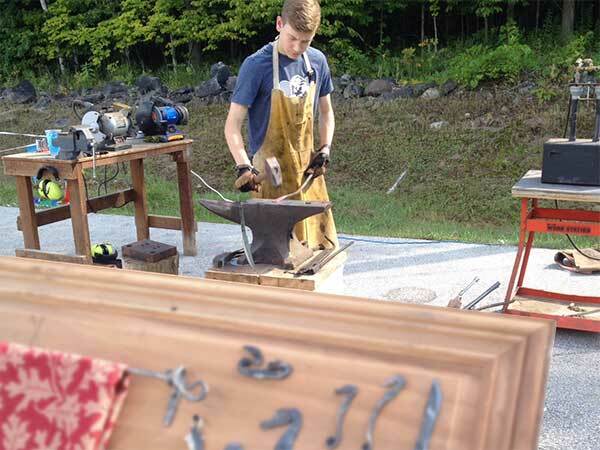 For their annual Customer Appreciation Day in Door County, Wisconsin, PJ’s of Door County asked Ben to do a blacksmithing demonstration while tourists enjoyed lunch on the house. 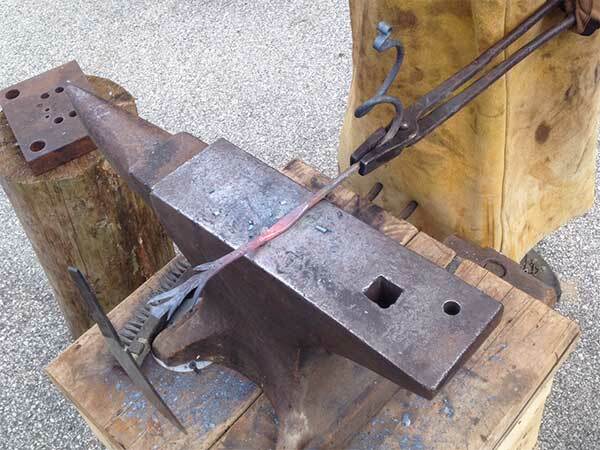 ABOVE: PAC’s blacksmith creates a plant hanger from an old piece of rebar. People watched him create sea horse hooks, knives, plant hangers, towel racks, and anything else that came to his mind that particular day. I freely admit being confused when Ben said he wanted to get into blacksmithing. Honestly, I didn’t think anyone did that anymore. The growing size of his forearms are proving me wrong. Added benefit to having a blacksmith in the house: I will never pay to sharpen another mower blade. We will be sure to add more metal creations to our gift shop as time (and school work) allows.